As most football coaches will tell you, the best squads are a combination of experience and youth and Scotland’s plant owners believe they have the right mix as they prepare for a challenging season ahead. At its recent annual general meeting the Scottish Plant Owners Association was diagnosed as being in “robust” health and former president Jim Houstoun highlighted the injection of new blood in recent years to work alongside more experienced members on the Executive Committee. Brian Young, managing director of Young Plant Sales, was also elected a member of the Executive Committee at the AGM. 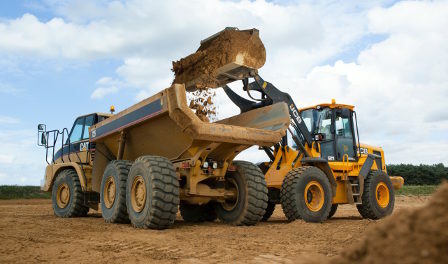 The new faces will help the association tackle challenges such as the structural changes currently underway at the CITB and changes to that training agency’s funding and levies. Like other construction organisations the SPOA is representing its members regarding the rate at which the levy has been charged as well as the recent decision by the Chancellor to introduce a 0.5% wage levy to fund training places. The industry is awaiting final clarification on how that will apply to those businesses that already pay the levy. Houstoun explained: “The CITB is engaged in a long-overdue rationalisation exercise that will see a number of experienced, some say vitally important individuals, leaving the organisation. Some posts/positions at CITB have been radically reduced in number. Employees put ‘on notice of redundancy’ who haven’t already moved on or decided to retire are required to apply for the new posts. New funding rules are complex. Houstoun represented the SPOA at a recent workshop focusing on the second round of the Structured and Flexible Funds programme and contests the CITB’s claim that the funding process has been simplified. “Funds are provided on a 30/70 basis meaning that organisations and businesses who apply successfully are required to contribute 30% of the cost. That can be ‘in kind’ rather than in cash. “The new application forms and the funding process are complex and pernickety compared with the funding application forms submitted for Qualifying the Workforce (QtW) funding for the last three years. Major concerns about this were expressed by many of the people who attended the workshop. “The facts, given at the workshop, are that of the 73 Stage 1 funding applications submitted last October only 23 or thereby made it to Stage 2. Some organisations whose applications were successful at Stage 1 decided to withdraw from the process at Stage 2. “Given the over-all income of £297.3m of the CITB – including levy payments – the total fund of £20m per annum allocated for Structured and Flexible Funds from the CITB appears somewhat miserly,” said Houstoun. “The SPOA will, however, continue to represent its members and will be submitting a funding application for a programme of management training for directors, managers and supervisors, a key area arising from the 2015 QtW members’ survey returns.